Carry this in your yoga bag, or simply keep one by the side of your bed to hence any restful slumber. Eyepillows with removable 100% cotton covers. Filled with Lavender and flaxseed to rest your eyes. You can even use them fresh from the fridge to rest tired eyes and reduce puffiness or warm from the radiator to get that melting feeling! 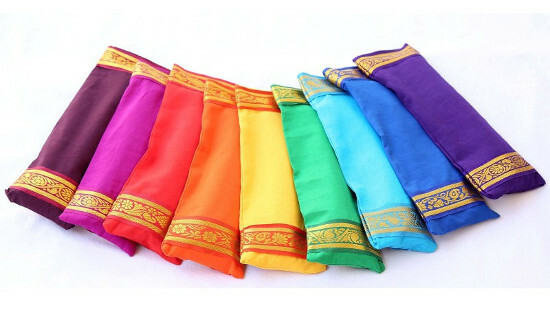 Hand made in India by Yogamalai using fair trade principles. Email Laura for colour options. 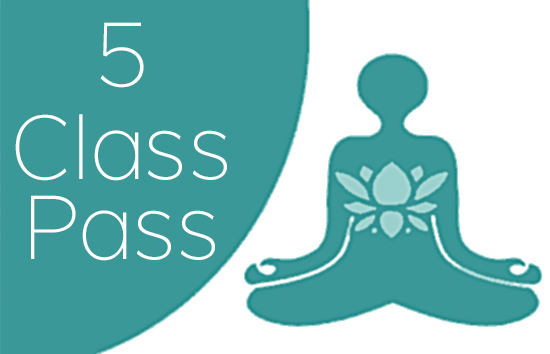 Purchase a 5 Class Yoga Pass for you or as a gift. Classes do not need to be used over consecutive weeks and there is no expiry date. Pick up your new card from directly from Laura at class. Purchase a 10 Class Yoga Pass for you or as a gift. Classes do not need to be used over consecutive weeks and there is no expiry date. Pick up your new card from directly from Laura at class. A Yoga Gift voucher that is just the right amount for a 2 hour workshop.